All creatures are free. All masters must die. This is the motto of Lifeforged, a group of bandit terrorists living in Bragonay’s deserts. Many who cross paths with these ruffian warforged believe they are no more than deranged highwaymen. But those with a deeper understanding of Bragonay’s history know the truth. Lifeforged have much more than gold on their minds. Like a big metal Batman. With an axe. Not so long ago Bragonians created the warforged to be the lowest rung on the ladder of their strict caste system. For years these beings did everything they were told without complaint. They were the perfect slaves, serving in all capacities from butler to soldier. However, years after their creation warforged began to do the unexpected, thinking and feeling for themselves. At first the Bragonians dwarves were happy about these surprises, for it meant the warforged could be proactive in their duties and take initiative without being told to do a task. Things turned bad for the dwarves when some warforged tried blackmailing their masters for a position higher up in the caste system. The dwarves were shocked by these actions, their creations were unruly. These warforged who tried to do such things were considered rejects and dismantled. When other warforged heard of this they began to take action. More tried blackmail to earn a higher caste position while others turned to outright violence or attempted to flee Bragonay. Marrial’s Masters of None became involved, secretly helping some slaves escape. The problem became so great that the Bragonian Empress at the time made a law stating no warforged could advance beyond the slave level of the caste system. This enraged the warforged and a nation-wide revolt began. During this revolt, many warforged fled from Bragonay and were accepted as members of other societies. Others stayed loyal to their dwarf masters and a large group formed an army. Those soldiers found themselves in Bragonay’s deserts. This was the perfect place for warforged as the hot sun does not burn them or make them thirst as it would any fleshy foes. The living constructs in this army called themselves Lifeforged. Out in the desert Lifeforged was safe. This was their terrain and they held all the advantages. The Lifeforged army grew too bold and moved from mounting surgical strikes and guerrilla attacks to a full scale march on Bragonay’s capital, Kerdabi. The Lifeforged believed their hour was at hand since most of the Bragonian armed forces were abroad at the time, trying to invade other countries as part of The Fourth Great War. The Bragonians got word of the attack and secretly pulled their armies back. It cost Bragonay the war, but allowed them to keep their country. In the Battle of Kerdabi the dwarves decimated the Lifeforged ranks, taking no prisoners. Any warforged who had revolted were considered faulty machinery and destroyed. Some Lifeforged managed to escape. A sizable force of Lifeforged still roams the Bragonian deserts, planning attacks, growing their ranks, and seeking support where they can. All of this violence is based on one fundamental disconnect – warforged see themselves as living beings, and many Bragonians see them as machines. That is true of some Bragonians to this day. Gain Coin. The warforged do this by hijacking desert caravans as described above. If the caravans are Bragonian, and most of them are in The Wastes, Lifeforged will ransom any wealthy merchants back to their families, kill any dwarf soldiers, and liberate any warforged. Any foreign caravans that have their goods hijacked and are left with enough food and water to survive a journey back through The Wastes. Increase Ranks. 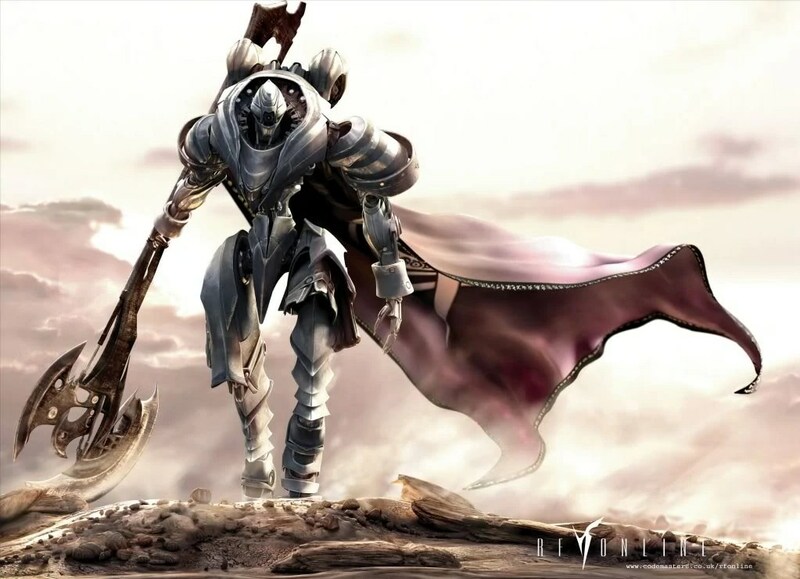 Lifeforged lost many of its soldiers in the Battle of Kerdabi. However, it has been slowly and steadily regrowing. By recruiting warforged from raided caravans, using surgical strikes to liberate the enslaved, and blackmailing Bragonians into freeing their slaves, Lifeforged’s numbers are approaching full-blown army status once again. Of course, these freed warforge are always given a choice, join Lifeforged or spend their newfound liberty in any other way they like. The only answer which is unacceptable to Lifeforged soldiers is a return to slavery. Surprisingly though, this is the choice of some recently freed warforged who find themselves on the wrong end of a Lifeforged sword. Gain Allies. Free Aeranore has been known to run weapons to Lifeforged in exchange for coin. The Tiefling Spires in a rare public address welcoming Bragonay and Parian to Verda, condemned slavery. But the most direct support to Lifeforged comes from Masters of None. The Marrial-based organization sends all the aid they can, including soldiers who can be spared to help free any warforged. Lifeforged regularly sends appeals to other organizations and governments asking for aid and help, but because of their illegal bandit activity many refuse to help them. Free All Warforged. This is Lifeforged’s penultimate goal. They would see an end to slavery of their brethren by any means necessary. Right now that means resuming a full-scale war with Bragonay’s empire once they have the soldiers and coin. Until that time they will be killing what slavers they can, intimidating and blackmailing others who own slaves into giving up the practice, and slaying those warforged who hurt the cause by choosing to remain slaves. Free All Slaves. Once Lifeforged has freed Bragonay’s warforged, their next target is Parian. Parian practices slavery of all races, not just warforged, and their reign must also be stopped, by any means necessary. Several Bragonian inventors and smiths are working with Lifeforged. All of the dwarves’ superior weaponry is being assembled with secret weak spots that are known to Lifeforged and will be exploited in major battles. Many warforged have migrated to Verda to begin a new life, but perhaps they have a more nefarious purpose. Some believe they are working with the tieflings to recover The Reckoning Spell and use it against the Bragonians. Lifeforged is not at all what it seems. 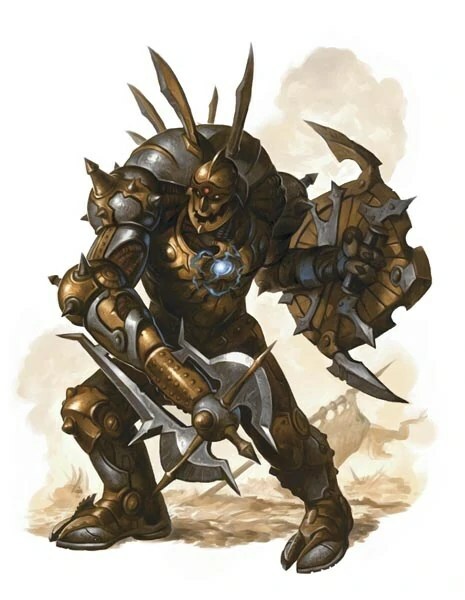 They are a group of warforged supremacists who believe constructs are superior to flesh humanoids. After they take Bragonay for themselves, the rest of Canus will follow. The Empire of Bragonay is actually in league with Lifeforged. After The Fourth Great War Bargonay’s economy is suffering. Through Lifeforged, the empire is able to ease that pain and take what they need from merchants and get free handouts from Masters of None. I’m curious to hear your version of how war forged are made…can the Lifeforged make new ones? What kind of magic or technology goes into their creation and who has access? That can make a big difference in knowing if the number of forged out there are finite or not and could really change their approach. Do the dwarves still make war forged? Are they working on a new “line” of forged without that “pesky independent spirit”? The question of reproduction was always a challenge I had with with forged in Eberron. They were no longer being made, but they were still soldiers for many groups (maybe mercenaries now getting paid, but still soldiers) and I would think that their chance of death would be higher statistically speaking than most other races in that setting…yet they could not reproduce. Sure the Cannith South guy had his secret creation forge still running, but its not like he was mass producing forged…he was making new prototypes and the like. If a race, even a race immune to disease or age or starvation, dropped to a ZERO reproduction rate, I would think their numbers would dwindle pretty quickly. Also, where do the Lifeforged fall in the realm of religion? Do they follow the faith of the dwarves, something of their own, something from another region, etc.? In a setting where religion really matters (pantheons granting actual spell slinging powers to clerics is a pretty clear argument against a doubting Thomas), I’d be curious to know what you think of that element of forged culture. I’m thinking the dwarves haven’t made any new ones since the big revolt, but they have the creation forges. Nothing has been dismantled yet. I think the idea of dealing with your population dwindling is actually pretty cool and something that should be explored more. I’m still figuring out the religion for these guys. The dwarf religion reflects their caste system so it makes sense that Lifeforged would reject that idea. In Exploration Age the source of divine magic is up for debate. Many atheists believe divine magic comes from the same place as arcane. I’m hoping to put out variant rules actually that allow one to be a godless cleric. I won’t know what that will look like until we see the final 5e cleric though. My biggest question raised by this post is also reproduction. In my mind, the solution is halfway between our recognizable biological imperative to reproduce and the Jedi mission of building your own lightsaber. It seems like it would be a years-long task for any warforged to complete (perhaps under the tutelage of special WF Reproduction Councilors) that requires studying one’s own insides as well as cannibalizing materials from deceased WF. Because they are born (created) at maturity, it could also raise some interesting questions about any parent/child relationship between maker and kin. Warforged making OTHER warforged?!?!?! Now you’re talking!